Power Steering Pump Belt to fit Mercruiser 120 & 140 Petrol Engines 1974-82. 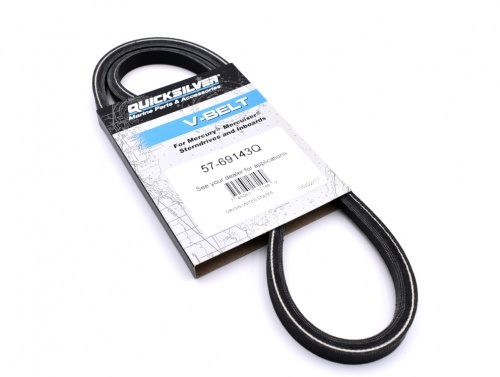 Alternator/Water Pump Drive Belt to fit Mercruiser 2.5L (153cid) & 3.0L (181cid) Petrol Engines sn 0L382121 & Below (equipped with Power Steering). Sea Water Pump Drive Belt for Mercruiser 7.4L (454cid) & 8.2L (502cid) Petrol Inboard and Sterndrive Engines, including Race Sterndrive applications. See below for full application list by serial number.